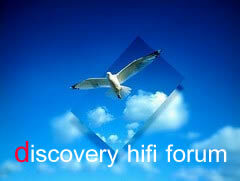 discovery hifi forum :: อ่าน - SOtM sDP-1000 รับรางวัล Blue Moon Award!!! 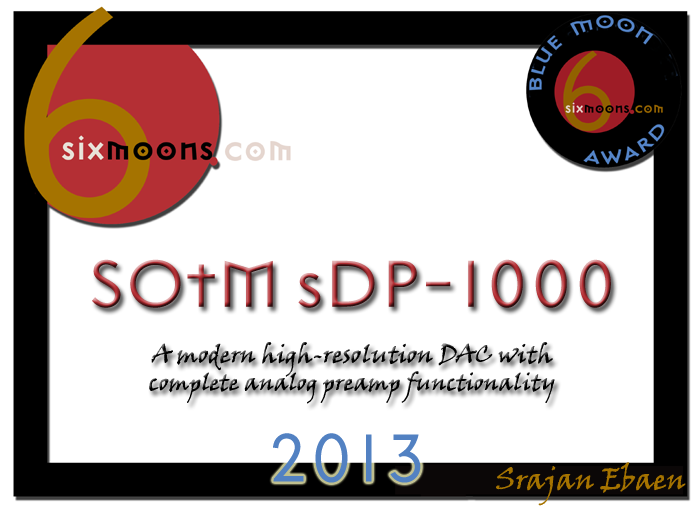 SOtM sDP-1000 รับรางวัล Blue Moon Award!!! ตอบเมื่อ: Wed Jun 12, 2013 4:21 pm เรื่อง: SOtM sDP-1000 รับรางวัล Blue Moon Award!!! Conclusion. The €3.000 DAC sector is getting awfully crowded. And mature. What your money buys here today makes it most dubious for anyone to advocate spending more unless everything else in your rig had already been dialled to a mirror polish. Where our smart contender from South Korea advances what to expect or get in this class is that it really does replace an analog preamp without excuses. * Going off-grid then wraps that elimination with a bow by making performance independent of utility power vagaries. The sDP-1000 always sounds the same no matter what. Have you gone knackered over your system suddenly sounding lots worse only to mysteriously resurrect days or just a few hours later? Then you'll appreciate if just one component escaped the moody e-morph's clutches. That escape is the primary benefit of battery power. Stable AC-invariant performance. Sonically the DC-coupled sDP-1000 performs on the same level as the Metrum Hex and AURALiC Vega. Not as dry as the Hex, not as glossy or wet as the Vega, it sets up camp between them. Anyone into realsization—the hip concept of getting equivalent or better results from downsizing and simplifying—should welcome SOtM's retirement of the separate preamp. That box is no longer required. That's key. For the low-fat sDP-1000 to be its best only requires an amp/speaker combo which already provides you with 95% of the tone density and image heft you crave. Doing this at the low levels I often listen to, the Vega's digital volume gets lean and lossy. The Hex has no variable output of any sort. If I were to simplify my hifi life, stick with the sound quality I've grown accustomed to from owning the Hex and Vega and not suddenly played a very different money game, the SOtM sDP-1000 really would be my first choice!